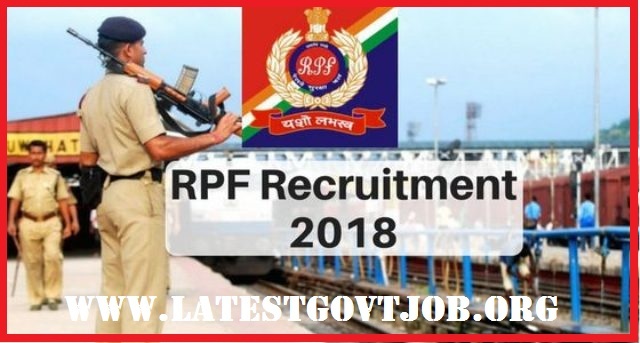 RPF/RPSF Recruitment 2018 For 8619 Vacancies of Constable @www.indianrailways.gov.in : Railway Protection Force (RPF) and Railway Protection Special Force (RPSF) have released a notification for the recruitment of 8619 Male and Female Constables. Interested candidates may check the vacancy details and apply online from 01-06-2018 to 30-06-2018. Candidates should have passed SSLC/10th Class/Matriculation from a recognised board. General/UR/OBC candidates have to pay Rs. 500 (Rs. 400 shall be refundable) and SC/ST/Ex-servicemen and Female candidates have to pay Rs. 250 (Rs. 250 shall be refundable) through SBI Bank Challan OR online mode using Net-banking/Credit or Debit Card. Interested and eligible candidates may apply online through RPF/RPSF website - http://www.indianrailways.gov.in/ - from 01-06-2018 to 30-06-2018.